Forty-five of the world's experts on the psychological and physical effects of solitary confinement gathered in Santa Cruz recently for a two-day academic summit that focused on charting next steps in the global effort to drastically reduce and perhaps one day eradicate the use of solitary confinement. 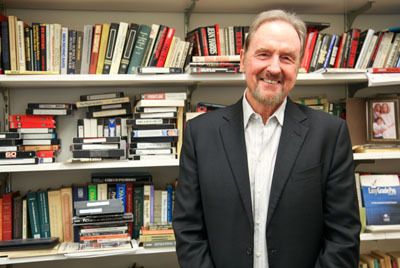 The gathering sought to develop consensus among scientific experts, human rights leaders, legal academics, and correctional officials, said Distinguished Professor of Psychology Craig Haney, who co-chaired and co-sponsored the meeting. "It was a remarkable two days," said Haney. "The synergy of having so many international experts together in the same place, many of whom were meeting each other for the first time, was extraordinary. There were lively discussions all day, every day. People were still talking after dinner on Friday night. Long after the conference had formally ended, the conversations kept going." The goal of the summit was to develop a set of principles governing the use of solitary confinement based on the latest scientific knowledge about its harmful effects, said Haney, a leading expert on the adverse psychological effects of solitary confinement. The critique to date has largely focused on psychological suffering, but a growing body of scientific evidence is documenting the harmful physical effects of isolation, social exclusion, and loneliness, he said. "The effects are parallel, but in some ways even more surprising," explained Haney. "Being isolated tends to make people feel depressed, which isn't terribly shocking. But being lonely or socially excluded also places people at significantly greater risk of becoming physically ill and of dying at a younger age. It's less intuitive, but it parallels the psychologically adverse effects." A surge of research in neuroscience, genetics, and other fields has documented the broad impact of loneliness and social exclusion on things like immune-system function, stress reactions, and other biological processes, said Haney. "In some ways, studies done with the general population are easier to do than in prisons, which are often off-limits to researchers," he said. "But in the world outside prison, there have now been scores of studies published documenting the harmful psychological and physical effects of isolation." "Social contact is a fundamental human need," said Haney. "When people are deprived of the opportunity to have it, bad things happen. Some of the bad things are painful, and feel traumatic. But other effects are more subtle. Over the long run, they can do as much or more damage as the immediate trauma." These broader findings "put the solitary confinement literature in an established scientific context," said Haney. "Nowhere is social isolation more dehumanizing and conditions more depriving than prison." Thus, summit attendees agreed the data regarding the psychological and physical consequences of solitary confinement need to be translated into standards and rules limiting its use inside prisons. Haney cosponsored the May 23-25 gathering, "The Santa Cruz Academic Summit on Solitary Confinement & Health: Next Steps in Reducing the Use and Misuse of Solitary Confinement," with Brie Williams, a professor of medicine in the Division of Geriatrics at UC San Francisco and the director of the Criminal Justice & Health Program at UCSF. Participants from Europe and across the United States included Rick Raemisch, executive director of the Colorado Department of Corrections, who has implemented widespread prison reforms during his tenure; Judith Resnick, the Arthur Liman Professor of Law at Yale Law School, whose work has educated scholars, policy makers, and the public about the scope and conditions of solitary confinement; Donald Specter, executive director of the Prison Law Office, which litigates on behalf of the constitutional rights of prisoners; Kevin Kempf, executive director of the Association of State Correctional Administrators, which represents 400,000 professionals who oversee 8 million inmates, probationers, and parolees across the United States; Marianne Vollan, who oversees the entire Norwegian prison system, widely regarded as the most innovative and humane in the world; and David Fathi, director of the American Civil Liberties Union's National Prison Project, which challenges the conditions of confinement in U.S. prisons and jails. Summit attendees generally expressed strong support for the United Nations' so-called "Mandela Rules," which have received widespread international approval yet have not been uniformly endorsed in the United States. Among the provisions, the rules state that solitary confinement should only be used as an absolute last resort and for the shortest possible time—never for more than 15 continuous days—and that certain vulnerable populations should be excluded, including juveniles, the mentally ill, pregnant women, and the aged and physically infirm. Following the summit, Haney and Williams will draft and circulate a set of principles that build on the Mandela Rules, incorporate new research findings, and seek to address challenging issues, such as the role of mental health and medical professionals in the implementation of solitary confinement. "There are questions about whether they should participate at all, and if so, in exactly what capacity," explained Haney. "Does participating at any level make them complicit? If mental health and medical professionals provide screening, monitoring, and care for prisoners in solitary confinement, does that indirectly legitimize the practice? Who else could provide necessary services?" For Haney, who has studied solitary confinement for more than 40 years, the summit represented another hopeful moment. In January, Canada's Supreme Court issued a national ban on the use of solitary confinement, a decision influenced heavily by Haney's testimony. Although that decision is under appeal, Haney is optimistic. "I think ultimately we will prevail," he said. "I think Canada is ready." Haney has seen progress in the United States, as well. In addition to Colorado, Idaho, Maine, North Dakota, Ohio, Washington, and even California have made significant changes to their correctional policies regarding solitary confinement. "Colorado is the national leader in solitary confinement reform, having adopted the Mandela-inspired 15-day limit, but a number of states are moving in that direction," said Haney. "Ten years ago, nobody would have thought what Colorado has done was possible," said Haney. "But now we have the director of corrections in Colorado saying, 'Yes, it is, because we did it.' "
Haney is immersed in the subject of solitary confinement: The summit followed a public campus event about the future of criminal justice reform with Professor Emerita Angela Davis, as well as two survivors of the notorious Angola Prison in Louisiana who spent a combined 72 years in solitary confinement. 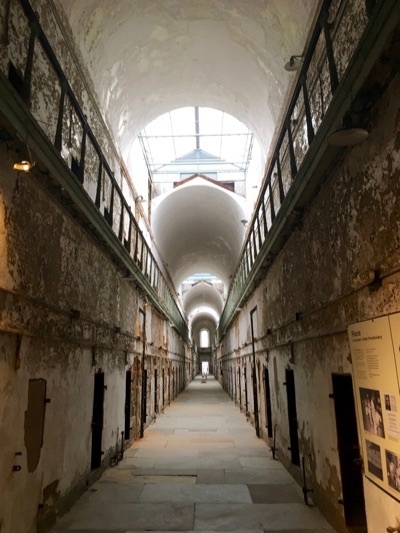 Immediately after the summit, Haney flew to Philadelphia to participate as a member of the Vera Institute of Justice’s advisory board on a nationwide project that seeks to reduce the use of solitary confinement in local jails and state prisons around the country. In addition to Haney's UC Presidential Chair, additional support for the summit was provided by the Jacob and Valeria Langeloth Foundation and the University of Pittsburg School of Law and the UC Criminal Justice & Health Program at UCSF.